Welcome to Dar-View Maple! Our specialty is the creation of 100% pure maple products all made from the sap of our abundant maple trees here on our family farm. 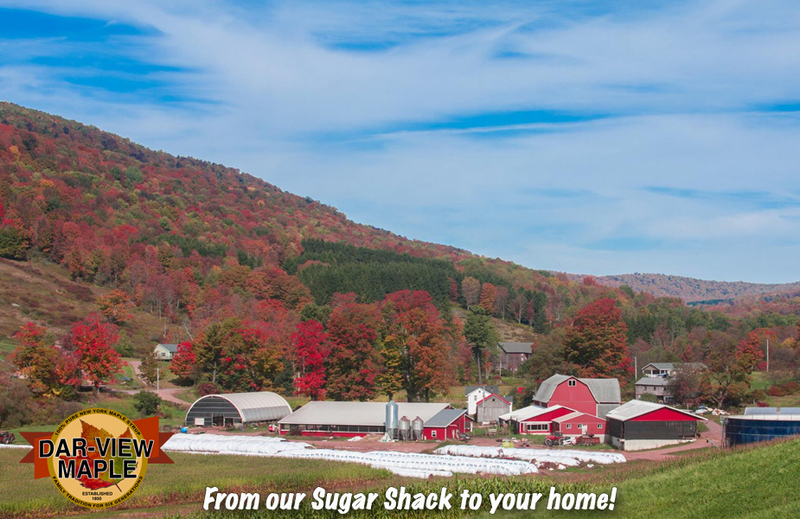 We offer a full line of delicious maple products which include maple syrup, maple candies, maple cream and granulated maple sugar, all produced here on our farm. 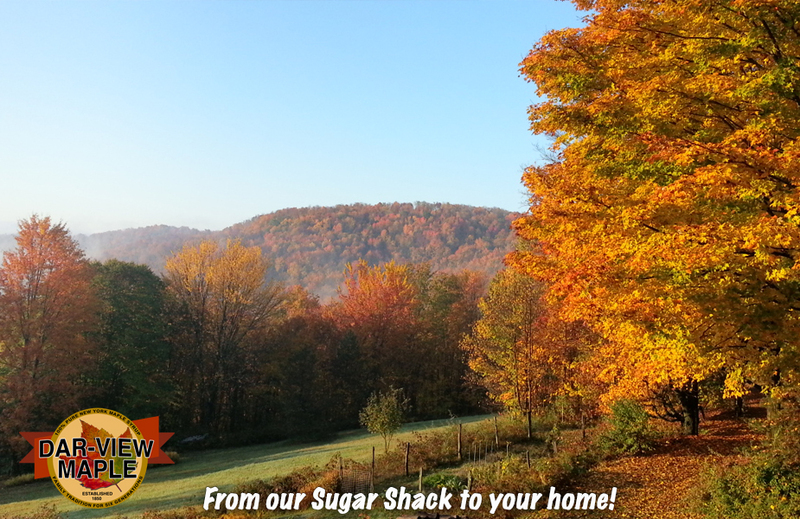 We ship our products directly From our Sugar Shack to your Home. Various grades of 100% Pure Maple Syrup Products in multiple sizes of jugs and decorative glass bottles available to choose from. We also produce Pure Maple Cream Spread, Pure Maple Granular Sugar and Pure Maple Candies. You can special order a Dar-View Maple Gift Basket by calling us at 1-607-435-1657 or by filling out a simple request form by clicking here. 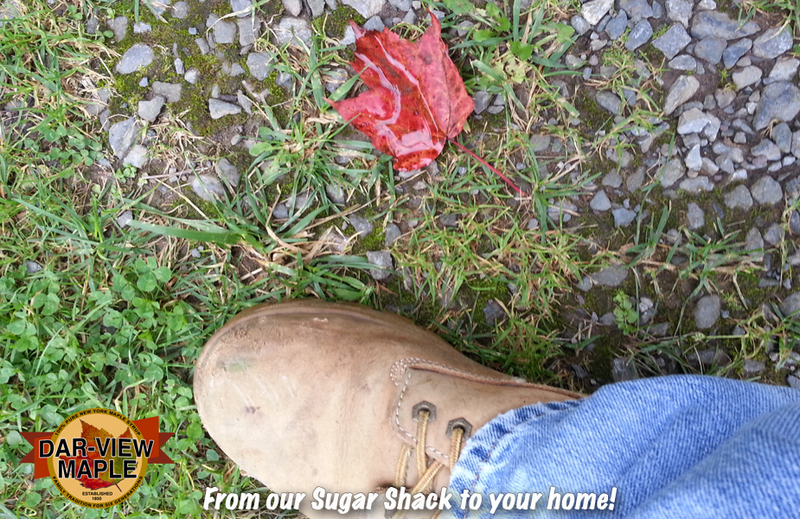 Vintage Sap bucket, still used along our roadside maple trees. Along the western slopes of New York's Catskill Mountains, nestled in the picturesque hills and lush valley, lies Fall Clove Road in the town of Andes, this is where Dar-View Maple, our tradition, was born in the 1850's and still carries on today. The Darling family has been producing the finest quality maple products for six generations, try some and savor this region's most delicious bounty, truly a party for your palate! Only three hours from NYC in the heart of the Northwestern Catskills, the Andes Hotel and Restaurant is a great destination for fun affordable weekend trips or one night getaways for friends and families! Just minutes away from the best local skiing, hiking, kayaking, and fishing in the region, we’re a great place to visit all year long! Dar-view Maple syrup can be enjoyed during the Andes Hotel's Sunday Brunch. Argyle Farms & Properties introduces The Andes General Store featuring locally made products. Find Dar-view Maple's full line of products at the Andes General Store. Check out The Andes General Store and help spread the word about Andes New York's newest grocery, deli, and all around general store. Please Like & Share us on Facebook! Come & experience Dar-View Maple's Tradition of six generations of Pure Maple Syrup Production. 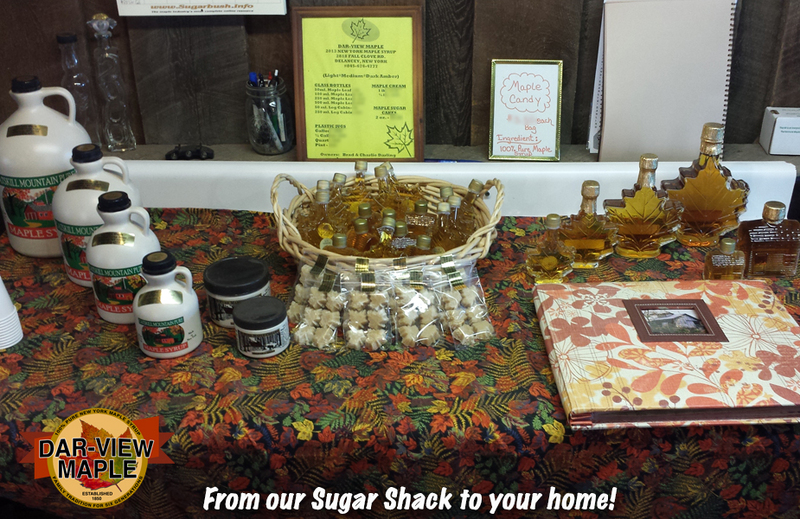 Taste free samples of Maple Products and enjoy free farm tours. Fun for the whole family! Ongoing demonstrations of how pure maple syrup is made, starting from the maple tree all the way to the bottle. Walk among the maple trees and watch the sap dripping in our vintage sap buckets. Tour our working dairy farm and pet the farm animals. Our Farmhouse still has the Sap Buckets out front as it did since the early days.